Vicki Mallory, executive director of the Algona Chamber of Commerce, stands along E State Street in downtown Algona, recently. 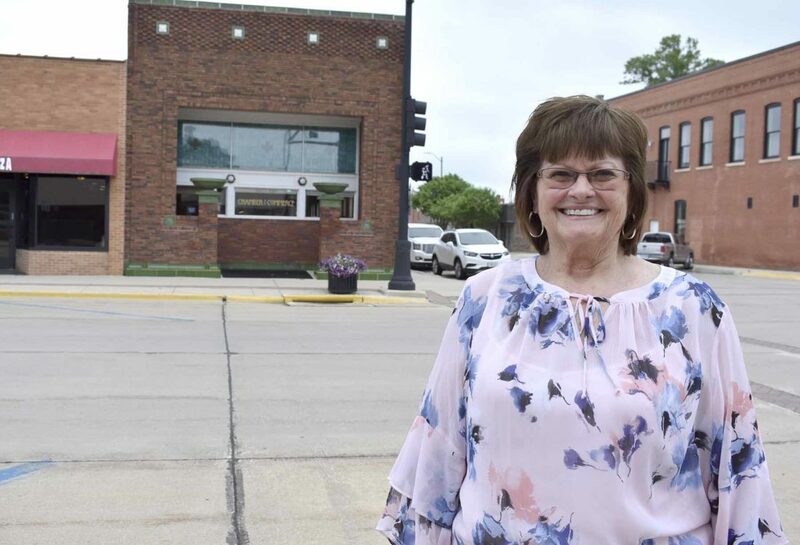 ALGONA — In 1993, Vicki Mallory was on a search committee to hire a new executive director for the Algona Chamber of Commerce. But after the committee conducted between five and seven interviews, the right candidate never emerged, she said. That’s when one of the other members had an idea. 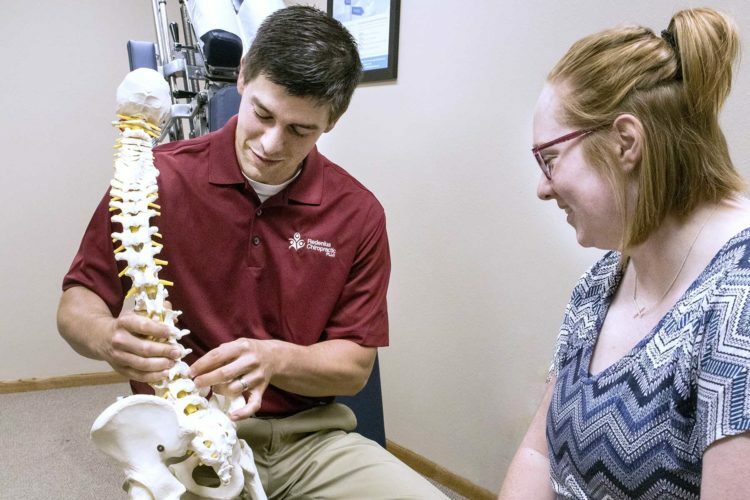 Mallory submitted her resume, interviewed for the position, and was hired in April that year. 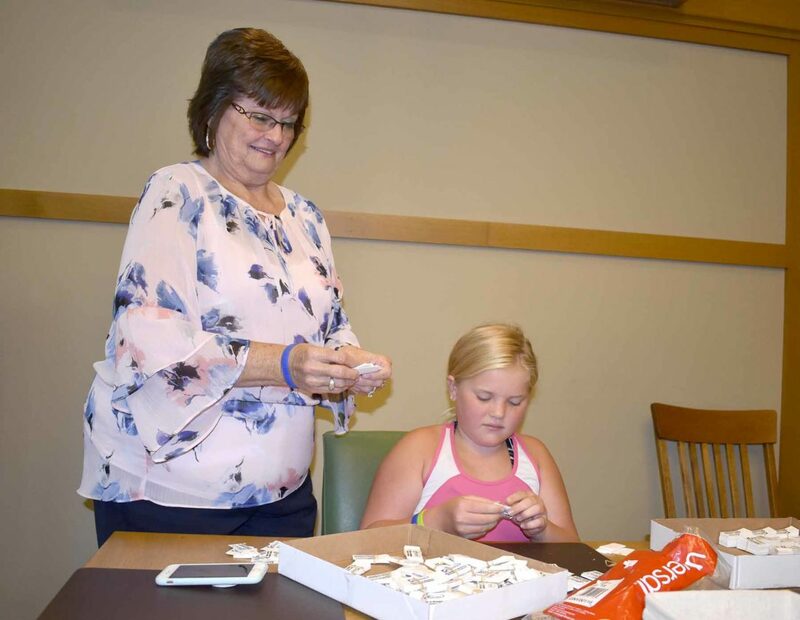 Vicki Mallory, executive director of the Algona Chamber of Commerce, left, helps her granddaughter Maci Mallory, 10, of Algona, organize key tags to be used for Chamber members. 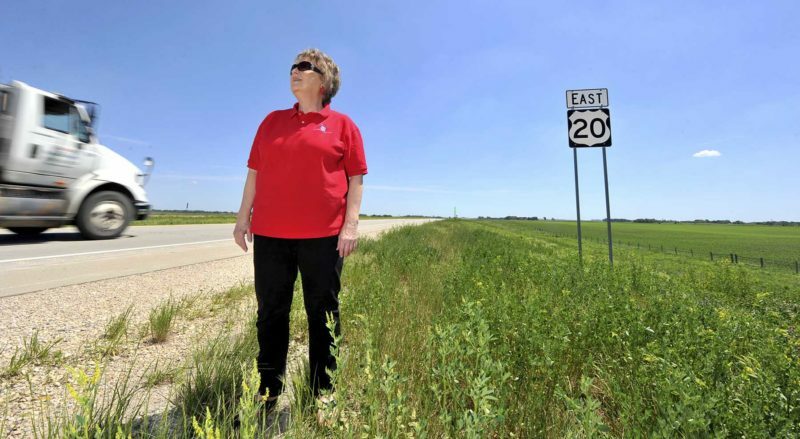 Twenty-five years later, she is still the executive director for the Algona Chamber of Commerce. Mallory’s job involves attracting people to the city and ultimately into the local businesses. In terms of showing off the city, strong events are key, she said. One of those events is the Autumnfest Craft Show. 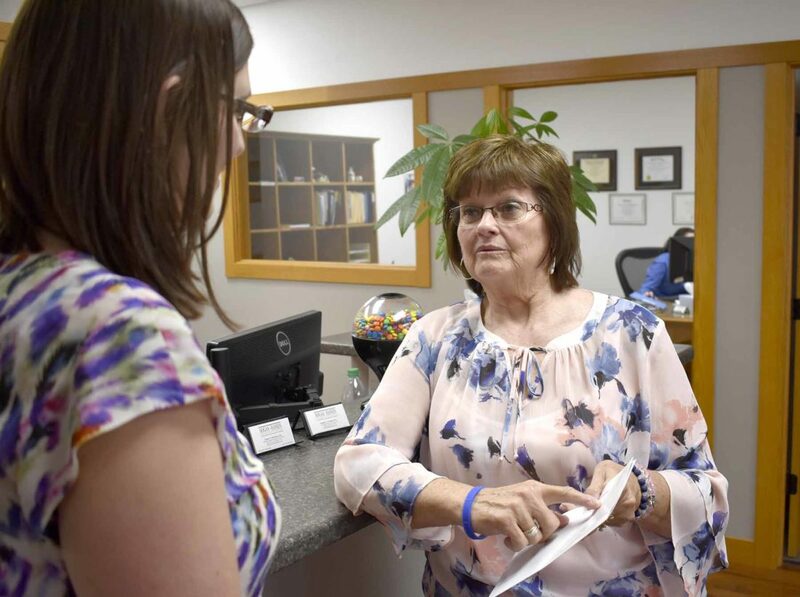 Vicki Mallory, executive director of the Algona Chamber of Commerce, right, visits with Emily Vaske, administrative assistant at Hogan-Hansen, CPAs and Consultants, in downtown Algona, recently. Another traditional event is the Algona Band Day Festival. This is its 70th year. Mallory said while Algona offers many excellent events, she is constantly looking to improve them. Mallory has also been a member of the Algona Rotary Club since 1992. She served as a district governor from 2005 to 2006. 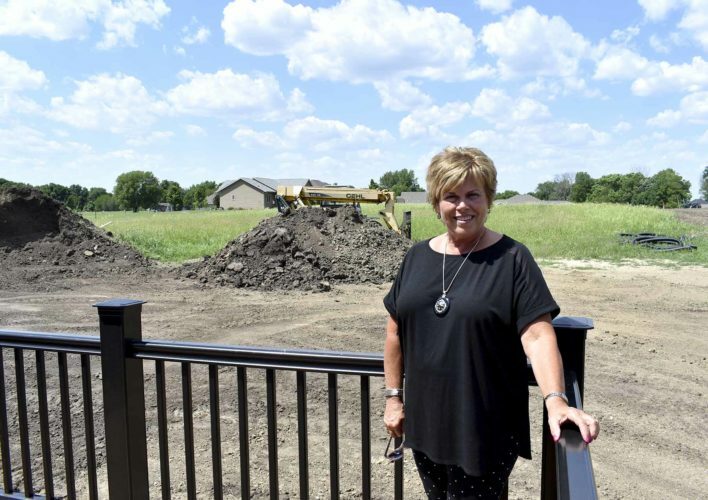 She has been impressed with the developments in Algona in recent years. The performing arts center, called the Ed and Betty Wilcox Performing Arts Center, was an addition to the Algona High School that opened in January 2017. 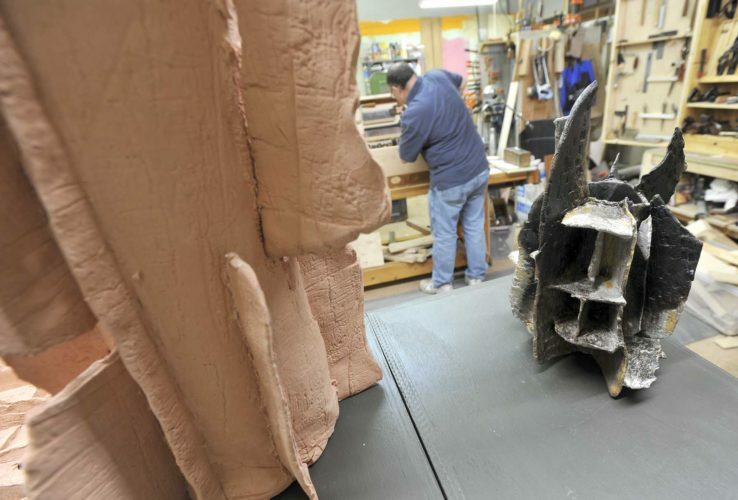 The estimated $8 million facility has an advanced sound system and an 863-seat auditorium. 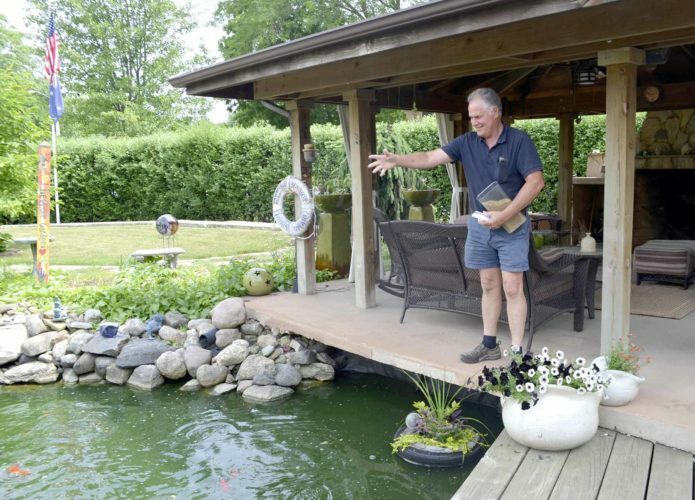 One constant challenge is keeping people informed about the progress of Algona. The top two challenges are workforce and housing. One thing that has surprised Mallory through the years is the number of people she has known for a long time and ended up working with. Mallory is happy that she has contributed to making Algona a better place. 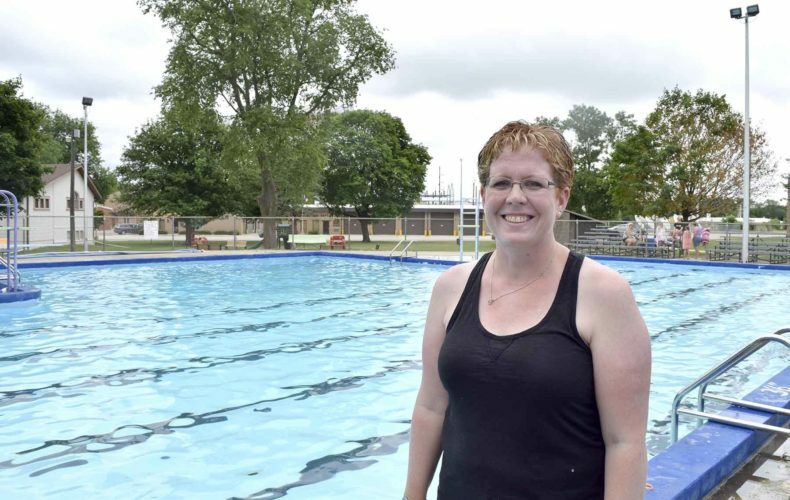 “I am very proud of the fact that I feel I have made a difference for Algona,” she said. “I will never ask a volunteer to do anything for us that I’m not willing to do myself. I put myself out there right alongside them.